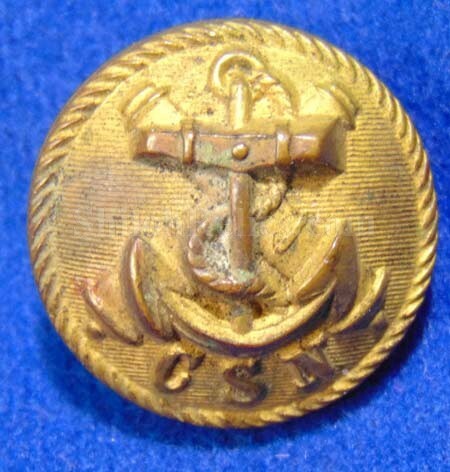 This one is a tough version of the beautiful Confederate Navy anchor buttons. 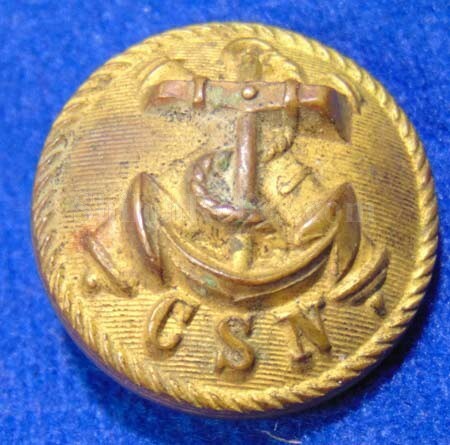 This is a beautiful original non-excavated 23mm version of the Civil War Confederate Navy button. This is the style with the anchor in the center atop of 2 crossed cannons. Below the anchor and cannon are the magic letters "CSN” for Confederate States Navy. It has a trace amount of the original gold gilding intact that makes a superb display. 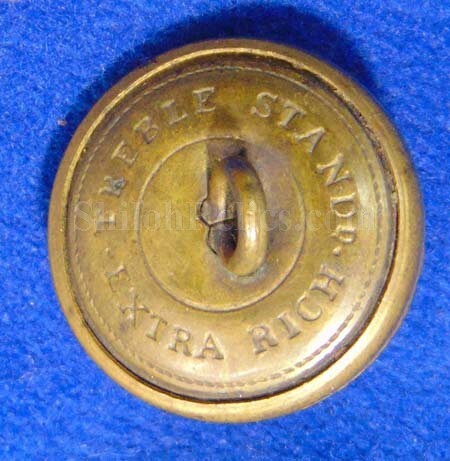 One thing that I love about this button is that it is the scarce version where the rope border of the button has a left hand twist instead of the standard right hand twist. The backmark is the correct Civil War mark of ". TREBLE STANDd / EXTRA RICH". They used a generic backmark so that it could be sold by any retailer without advertising for the actual button maker. This is the pattern listed as figure CS56 in Albert’s button book and CSN212A1 in Tice’s button book. he adds that this button is "...difficult to find." 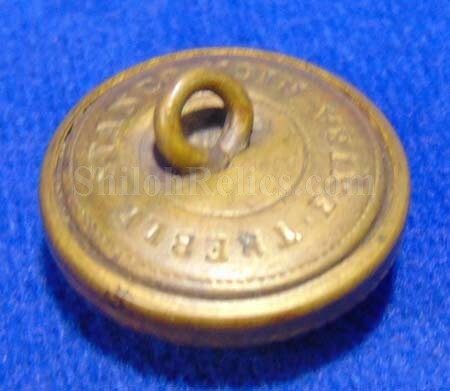 This is a scarce version of a wonderful original non-excavated Confederate navy button.